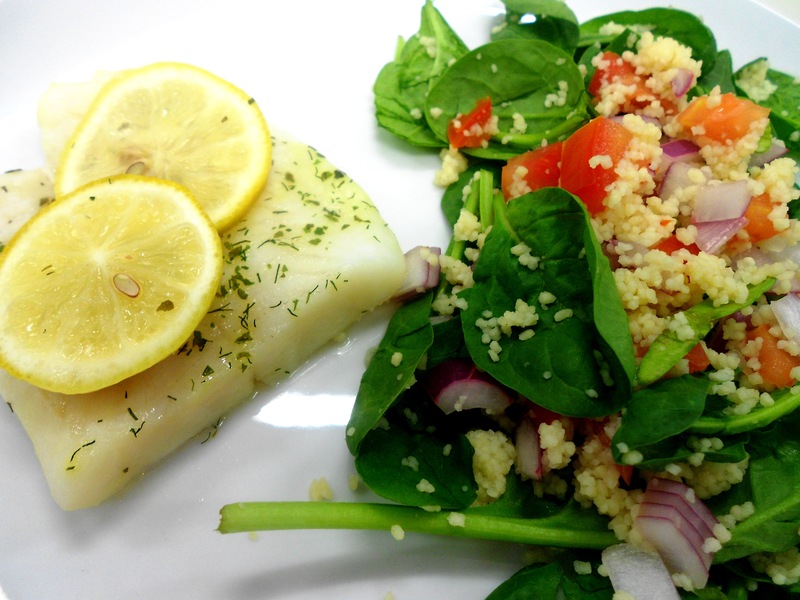 Fish is low in saturated fat and is a great source of protein. White flesh fish has a mild flavour that will go with lots of different herb or spice combinations. Cous cous is derived from wheat and is very quick to cook. It can be used as an alternative to rice or pasta. Other flavour variations for the baked fish include garlic and rosemary or soy and ginger.